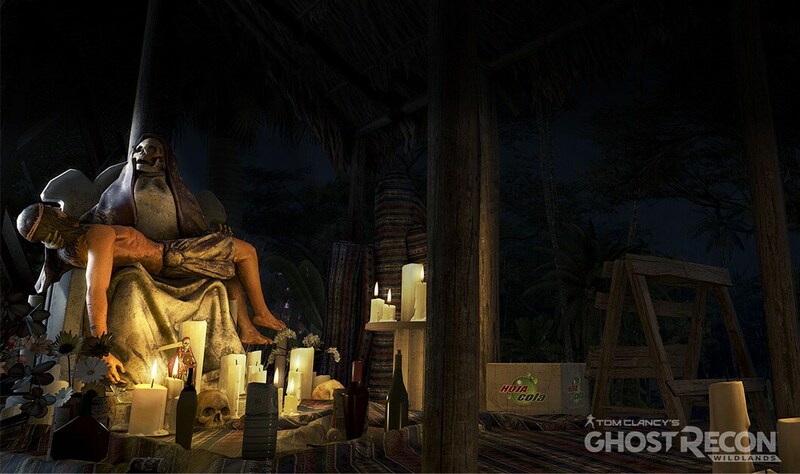 April’s Title Update 3 introduced the Live Season Challenges with “The Rise and Fall of Unidad.” With the successful elimination of the Unidad drug network and an eye-opening cryptozoological expedition behind us, Season 2 of the Live Season Challenges presents a new set of encounters and rewards. 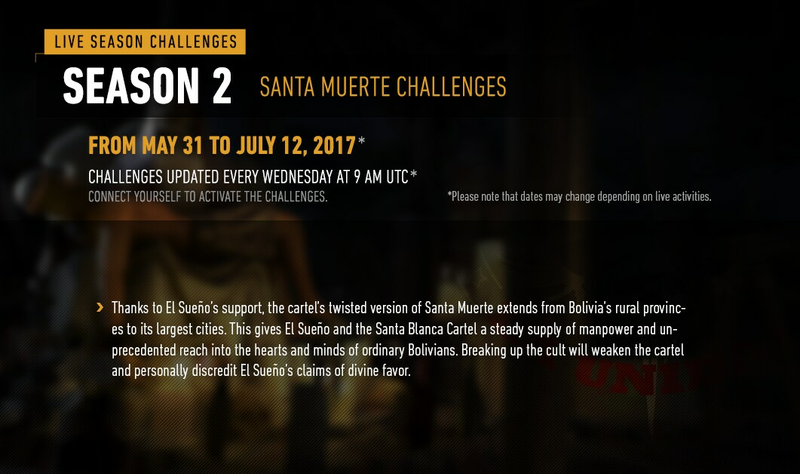 Coinciding with the release of Title Update 4, the new season’s 6-episode arc focuses on the mysterious Santa Muerte cult, its fanatical adherents, and the leadership that steers the faithful to serve the Santa Blanca cartel’s purposes. - Three challenges playable solo (co-op is available, but please note that your stats are counted individually). Completing the first challenge will unlock the second; completing the second will unlock the third. - One community challenge that will require the contribution of all players to reach a common objective. Upon completion of each set of challenges (Solo, Task Force, and Community), players will receive a reward, totalling three rewards per episode. The Rise and Fall of Unidad episodes gave players the opportunity to play Ghost Recon Wildlands in ways they may have been unaccustomed to playing, requiring many facets of the combat system to be used in order to achieve victory. Close quarters combat, vehicular mastery, and explosives each had a moment to shine. Season 2 aims to push players further by adding HUD and difficulty restrictions to some victory conditions, along with a few other surprises. Find more intel on the challenge of the week here.